First mentioned in 956, St Eugenia's chapel is the oldest religious building in Nîmes. A barrel vault with radial arches and four twelfth century tombstones in the floor are reminders of its medieval origin. 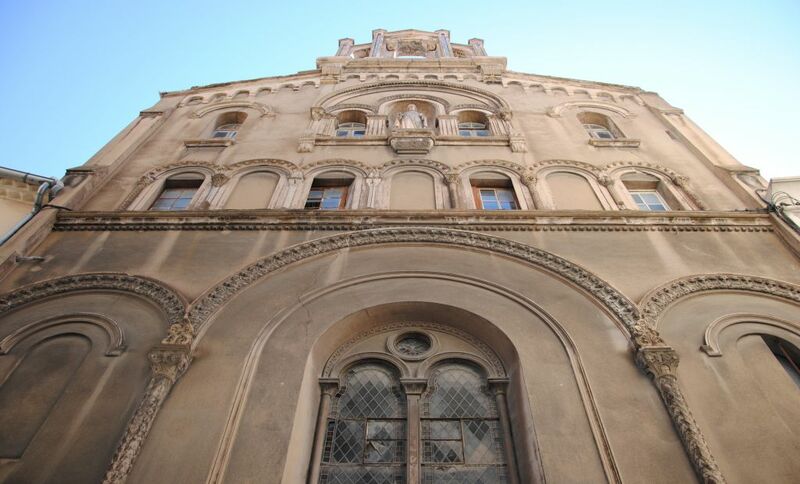 The front of the building, inspired by Romanesque art, was rebuilt in cement in the nineteenth century. A powder store during the Wars of Religion and a billiard table workshop from 1792 to 1876, the chapel recovered its religious function in 1877.